This wonderful description of Dylan’s power as a radio performer comes from a review by Richard Burton of The Life of Dylan Thomas by Constantine Fitzgibbon that appeared in Book Week magazine, 24th October 1965. “Dylan as an actor and as an explosive performing force was a dangerous rival for other actors, as I know, for I worked with him a few times or several, and once for instance a director said to him, we were rehearsing a radio play at the time, Dylan will you take the words Mam! Mam! and scream them for me ; you understand that you are dying in No Man’s Land, and when you hear the Royal Welch sing, I will give you a cue light and then scream for me would you there’s a good chap. And the Royal Welch did sing in the rehearsal, it was a record of course, and they sang of what you could see from the hills above Jerusalem, and was in the minor key and sad as the devil or death, and the green light flickered, and Dylan, short, bandy, prime, obese, and famous among the bars, screamed as I have never heard, but sometimes imagined a scream, and we were all appalled, our pencils silent above the crossword puzzles, and invisible centuries-gone atavistic hair rose on our backs. And there was a funny silence and Dylan said that he’d bet I couldn’t do that scream like that with a cigarette in my mouth and I shook off the centuries, stopped staring, smiled a little, noted that he had indeed monumentally screamed with a cigarette in his mouth and went stunned back to my crossword”. 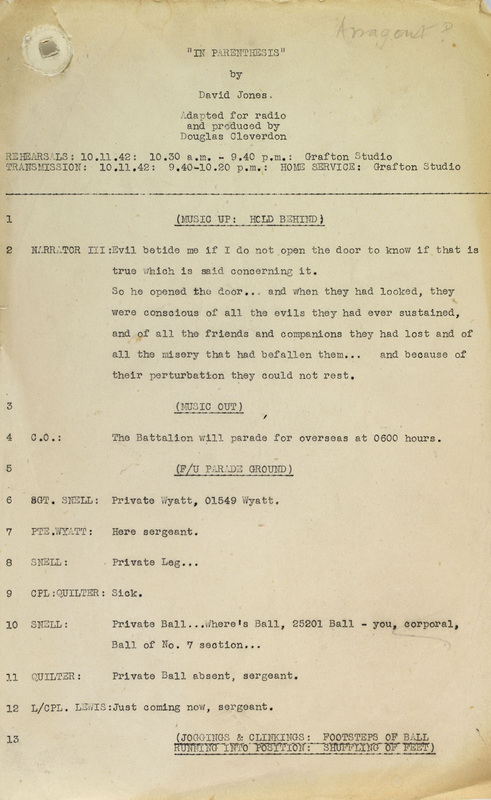 The recording Burton is referring to is In Parenthesis, David Jones epic poem set during the Great War. Jones had served with the Royal Welch Fusiliers and was shot and wounded in Mametz Wood where the scene in which Dylan screams out it set. 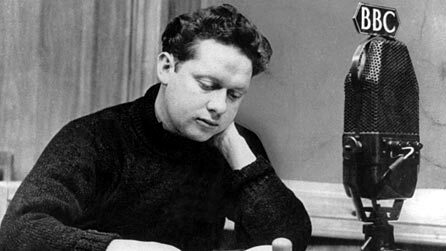 It was first recorded by the BBC in 1946, produced by Douglas Cleverdon, with Dylan Thomas cast as Private Dai Evans. Richard Burton had a minor role in the 1946 production but went on to play the lead in a number of later recordings. 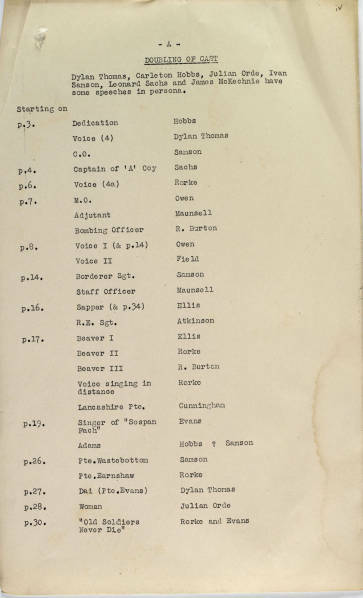 The broadcast script of In Parenthesis is in the First World War Poetry Digital Archive based at the University of Oxford.